Like so many, I adore cinnamon rolls. All that gooey cinnamon-y-ness is just irresistible. Unfortunately, I don’t make them that often. Actually, that could be a good thing considering how very much I enjoy them. In any case, cinnamon rolls are a labor of love for me. 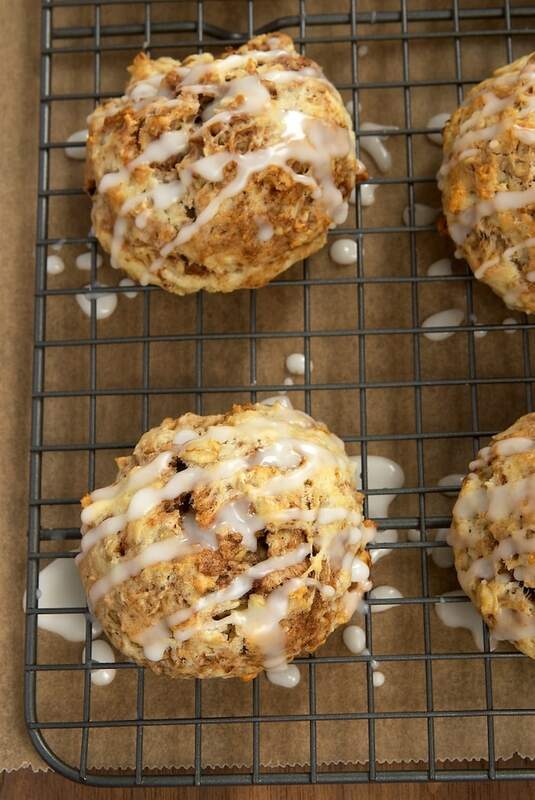 These Cinnamon Bun Scones, however, are low on the labor scale yet high on the deliciousness scale. Now that’s the kind of breakfast baking I can really love. I happened upon this recipe as I was looking for something quick and easy for Sunday breakfast. I was intrigued by the simple ingredients and the promise of something that would taste like cinnamon rolls without all the work. I was so not disappointed. These scones taste so much like cinnamon rolls without actually being cinnamon rolls. I’m so completely amazed by them. They’re really simple to make from ingredients you’re likely to have on-hand. And the taste is phenomenal. I just love that sweet cinnamon swirl and the vanilla glaze. Do yourself a favor. Make these as soon as is humanly possible. Seriously, they are that good. The oats and cinnamon and vanilla and pecans all just come together into one of the best things I’ve had for breakfast in a very long time. Find more breakfast treats in the Recipe Index! 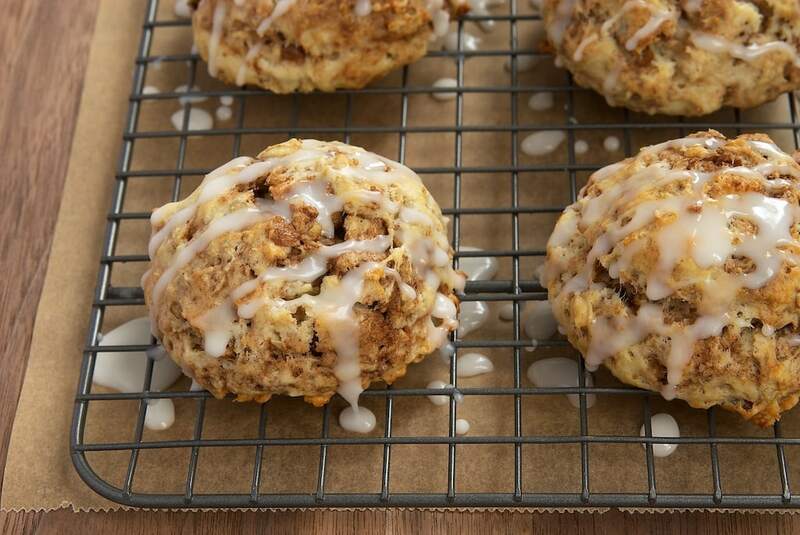 Simple to make and a pleasure to eat, Cinnamon Bun Scones are a fabulous sweet, cinnamon-y treat for breakfast or for snacking! Preheat oven to 425°F. Line baking sheets with silicone liners or parchment paper. In a small bowl, combine the pecans, brown sugar, and cinnamon. Set aside. In a large bowl, combine the flour, oats, sugar, baking powder, and salt. Add the butter and mix with a pastry blender or a fork until mixture resembles coarse crumbs. Combine the milk, egg, and vanilla in a small bowl. Add to the flour mixture and stir just until combined. Sprinkle the cinnamon mixture over the dough. Gently stir until the batter is just swirled with the cinnamon mixture. Drop the dough by 1/4-cup portions* onto prepared pans. Leave about 2 inches between scones. Cool the scones on a wire rack for 5 minutes while you make the glaze. Combine the confectioners’ sugar with 3 teaspoons milk. Add more milk if needed to achieve pouring consistency. Drizzle the glaze over warm scones. *A 1/4-cup scoop works wonderfully! Recipe slightly adapted from Quaker. I just made these and they are awwwwsome!!! I’ve put some in the freezer raw and will see how they bake up after being frozen. 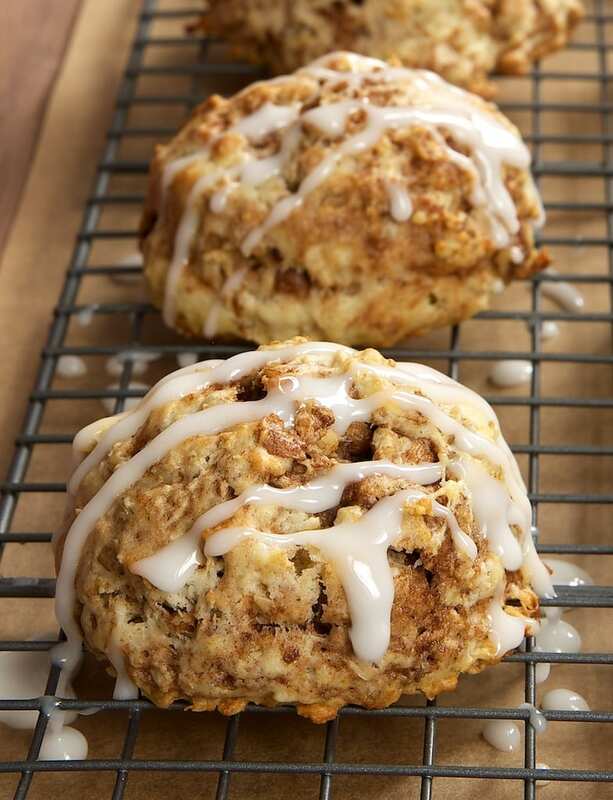 Hey, the cinnamon bun scones sound so good. 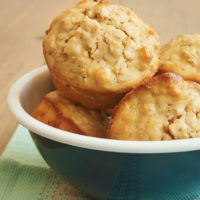 I’ve always wanted to try scones but for some reason have yet to make them. Make sure your butter is frozen and your milk and egg is ice cold, it makes all the difference. Just made these and they were very very good! I found the sweetness level lacking. I will make again and use a bit more brown sugar. Otherwise great recipe. I just made these for breakfast…Frist time making any kind of scones. They are yummy and will mak again. So glad you liked them, Lourdes! I haven’t made yet but are making to take to a tea at my club. But wanted to address the remark that they weren’t sweet enough, on a cruise we were taking they served high tea at 4 o’clock each day and served scones. They were plain and served with butter and jelly, let me tell you, they tasted like a dried up biscuit! That was the reason I attended I wanted to taste a scone, I attended several they never got better. I was very disappointed. Scones really are not supposed to be that sweet. They are a cross between a bread and cookie. Since they are served with tea or coffee, which has a strong taste in itself, they are really not meant to be very overpowering. However, they are not supposed to be a “dried up biscuit” either. Although dry, they are meant to be to have some moisture, as you are not supposed to choke on it. 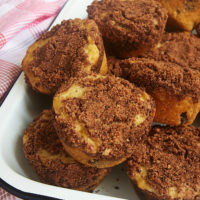 Usually if you dip them into your coffee and take a bite, the coffee compliments the cinnamon in the scone. I’m excited about this recipe, going to give it a try!!! These were delicious! I didn’t have any pecans, but they were good without them as well. I wonder if you could put raisins in them instead of the pecans?? I made them and added a 1\2 cup of raisins instead of the pecans. Hi, Kaylee. I’ve never frozen these, but I would guess they would be okay minus the glaze. 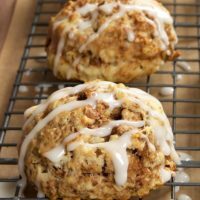 Amazing cinnamon scones! 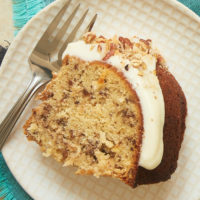 Made without pecan nuts, such a hit with my boys who love cinnamon. Have made twice in two days! 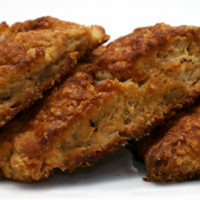 They are beautifully crispy on the outside and soft and moist on the inside! Perfect for breakfast or tea. Yay! They’ve been one of our favorites for a long, long time! Can you make it with almond milk instead?? Hi, Hannah. I’ve never used almond milk, so I can’t say for sure. I’d recommend following the manufacturer’s guidelines for substitution. If you try it, please come back and let me know how it works. Yay! So glad you liked them, Rose! How many calories for one scone you think? Hi, Hannah. I recommend using an online nutrition information calculator to estimate that.